Since this blog is about Adirondack living; the Adirondack Lifestyle, I like to remind readers that sometimes living in the Adirondacks is all about the weather. Take this year for example. By all rights I should have three weeks of on-snow activity under my belt. I have found November to be a tough month for outdoor activity no matter where I happened to be living. Until recently, however, the Adirondacks have had a better than 50-50 success rate for skiable snow in November. It was 51 degrees today. I am trying hard not to complain. My new weather hero, Henry Margusity at Accuweather, is calling for a big winter in our Adirondack neighborhood. Accuweather Henry has cred with me. He is based in State College, Pennsylvania, just over the mountain from my alma mater Juniata College in Huntingdon, Pennsylvania. I'll go with any reason to believe the snow really is on the way. 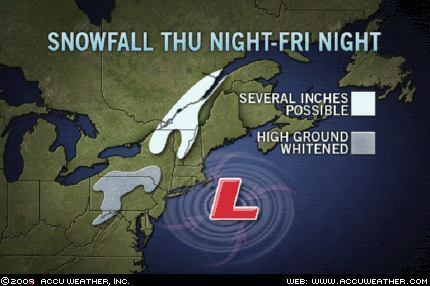 Today's feature images are the forecasted snow maps from Accuweather for this weekened. 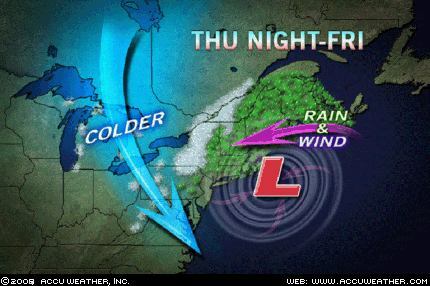 If you are an eastern skier, start visualizing!